Ludington has always been a home to history but, in the last few years, the community has decided to start making history with annual attempts at breaking world records. From ice cream sundaes, to sand angels, to biking, and now on to a dessert party; Ludington continues to attempt record-breaking feats! On June 8th, 2019, the Ludington community will gather once again but this year at Rotary Park and this time to break the record for the Largest Dessert Party ever held. Dessert Party, in this instance, is defined by people eating various desserts all at the same time. Gujarat, India has been the world record holder for this event since October 2nd, 2016 when 1,445 people enjoyed desserts simultaneously. The desserts included in the Ludington's attempt will be ice cream, frozen yogurt, and possibly cake, cookies, and doughnuts. The Downtown Ludington Board hopes to not only break the record but surpass it considerably with over 2,000 people enjoying a small dessert portion at once. The desserts must be finished, however, in order for that portion to qualify. Those interested in participating of the event would register at Rotary Park at 3pm on the day of the event, with the attempt to be made at 4pm, and desserts will be distributed on a first-come, first-serve basis. Those with food allergies should not participate. 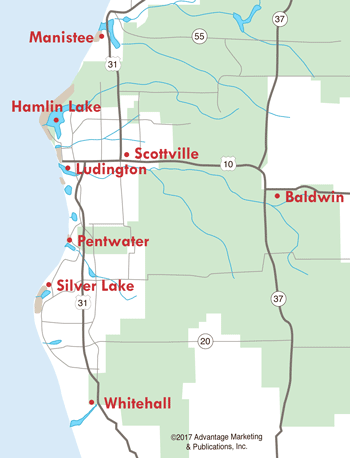 To express your interest in participating, visit downtownludington.org. In June of 2018, the Shoreline Bicycling Club of Ludington, with the help of many community members, attempted to break two cycling world records: the longest single line of bicycles and the longest line of bicycles moving simultaneously. Prior to this attempt, the record was held by THE BDCyclists in Dhaka, Bangladesh. The group's record for longest parade of bicycles is 1,186 and the record for the longest line of bikes in a row not moving is 1,448. The Shoreline Bicycling Club is hoping for 1,600 participants or more to break the Guinness Book Record. Unfortunately, Ludington was not successful in breaking the world record but had 835 cyclists show up for the world record attempt. They needed at least 1,200 to break one of the records. The Foundation for the Spectrum Health Ludington Hospital wanted to break the Guinness Book of World Record for the number of people simultaneously making sand angels and did so on Saturday, June 10th, 2017 at Stearns Park Beach in Ludington. 1,387 people made sand angels and set a new Guinness World Record. Pembrokeshire, United Kingdom was the previous record holder, having had 352 people participate in June of 2015. While the event drew thousands of locals and visitors downtown, it was also a fundraiser for the Spectrum Health Ludington Hospital Cancer Service Center Patient Assistance Fund. The event was free and open to the public but donations were encouraged to help raise funds for the fund. 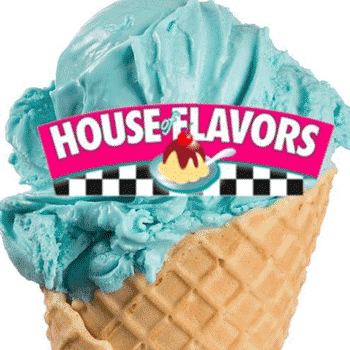 Ludington found a sweet way to break a world record on June 11th, 2016 when House of Flavors Restaurant in downtown Ludington made an attempt break the record for largest ice cream sundae by building a half mile treat. The original plan for the sundae called for it to measure 2,640 feet but the end result was 2,975 feet and ran from Park Street to Harrison Street in downtown Ludington. 855 gallon--amounting to 12,825 scoops of ice cream were used to make the sundae, which was served in a rain gutter and topped with whipped cream, chocolate syrup, and cherries. The event brought an estimated 12,000 people to downtown Ludington and required a massive amount of volunteers as well as consumers, as the entire sundae had to be eaten. The Guinness Book of World Records confirmed on October 19th, 2017, that Ludington had secured the world record for longest ice cream sundae. Prior to this, the city of Manurewa, New Zeeland was the record holder for building and consuming an ice cream sundae that measured 1,957 feet in length in February of 2015. Moo-ville Creamery in Nashville, Michigan also made their own attempt on September 17th, 2016, when they constructed a sundae that was 3,656 long. Guinness verified the attempt and Moo-ville became the new record holder and then on March 24, 2018, the Spirit of Texas Festival became the new record holder, with a sundae measuring 4,549’.